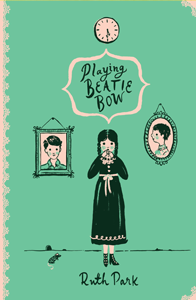 Ruth Park’s Playing Beatie Bow (1980) is a fantastical, time-travel novel that is also fascinated with lived history. It is especially interested in the question of how, that is through what means and forms, our past is remembered and mediated. Do we remember the past through what is recorded in official archives and taught on school and university curricula? Or are there other ways of accessing what took place before our own time? It is a children’s nursery rhyme and a discarded piece of old cloth that enable the transportation of Playing Beatie Bow‘s Abigail Kirk back to Sydney’s The Rocks in 1873, suggesting that popular song and ephemeral objects can open historical horizons and be the catalyst for reconstructing meaningful stories. The novel is also concerned with how historical memory might be affected, or even threatened, by processes of cultural and industrial transformation. What impact, for example, does the gentrification of old neighbourhoods have on lived knowledge and generational memory? When Abigail travels back to Victorian-era Sydney, she experiences a Rocks area that, 100 years after Europeans first arrived and then settled in Sydney Cove, was inhabited by a lively mercantile community. Transported from the late 20th century, Abigail first finds herself in a whorehouse and is then befriended by the Talliskers, a family of Scottish immigrants. She also encounters a diversity of other inhabitants, including Chinese workers who are living precarious lives in crowded conditions and makeshift dwellings. Significantly,Playing Beatie Bow brings to life a multicultural working-class community inhabiting The Rocks. It does so at a time when this formative site in Australia’s colonial history was undergoing controversial renovation and redevelopment. Throughout the 1970s and 80s, the Sydney Cove Redevelopment Authority oversaw the demolishing of old buildings and the preservation and restoration of those parts of the area deemed worthy for cultural heritage. In the decade leading up to the Australian bicentenary, and as real estate values rose in the waterfront neighbourhood, the state-sanctioned redevelopment of The Rocks and surrounding areas was informed by what Tony Bennett refers to as a ‘consensus nationalism’ (p. 228). Restoration and reconstruction of The Rocks speaks, in other words, to a view of history that selects and values aspects of the past deemed important for (re)telling an official story about the development of the nation since white arrival. Such a remaking of history entails the neglect and erasure of other aspects of the past, including the area’s Indigenous history. The Redevelopment Authority’s restoration of the past, for Bennett, remakes the past as its ‘clearing The Rocks of history’ made space for a ‘past [that] shines forth in the gleaming newness it once had, or is thought to have had’ (p. 223). A New Zealand-born writer, who began her career as a journalist, Park had first moved to Australia in 1942, a year in which she and her new husband, Australian writer D’Arcy Niland, settled into a home in the inner-city suburb of Surry Hills. Soon after her arrival in Australia, Park was recruited as a writer for the ABC’s children’s radio series where her drama about an iconic Australian animal, The Muddle-Headed Wombat (1942), was launched and later turned into a popular series of children’s books. Park’s down-to-earth love of everyday Australians, animals and objects, and her keen feeling for grassroots community, can be seen in Playing Beatie Bow as well as the other 20 or so children’s books that Park published from the early 1960s through to the 1990s and which plot the adventures of Australian children against a changing social and cultural landscape. While Playing Beatie Bow falls somewhere between a children’s book and the ‘Young Adult’ fiction category, its view of Sydney’s history as seen ‘from below’ has much in common with her Harp in the South trilogy, which traces a 30-year arc in the lives of a fictional Irish Catholic family who reside in Surry Hills, then known as a slum neighbourhood. Beginning in the early 1940s, the Harp in the South plots the romances of its young Irish women and men who grow up in a ramshackle neighbourhood of dilapidated housing, brothels, pubs and factory workers. Park’s interest in working-class lives and urban change provides a context for Playing Beatie Home‘s time-travel narrative as it shuttles between The Rocks as it is imagined in 1873 and Sydney in the late 1970s (the moment in which the novel was written and published). The book begins with an adolescent Abigail who, after her parents’ separation, moves with her mother from a ‘garden suburb’ to a high-rise apartment owned by her father’s architecture firm. This building, a ‘glistening spike of steel and glass jammed in the sandstone amidst the tiny meek cottages and old bond stores of that part of Sydney called The Rocks (p. 3)’, tacitly tells a story about changing living and working conditions in the area. While inner-city Sydney is now more likely to be identified by its high-rises than its ‘meek’ workers’ cottages, by its new professional class (architects and others) rather than by its factory workers, Park points us to lived contexts and histories that persist despite social and urban transformation. The second-hand shop that Abigail’s mother Kathy opens, for example, is located in a ‘black hole of Calcutta Paddington lane’ as Park draws attention to an old Sydney. Through this and Abigail and Kathy’s love of recycled fashion, Park explores the possibility of a past that persists amid larger changes. Her favourite belt was a piece of harness strap, polished deep brown and fastened with the original brass buckles. It had a phantom smell of horse which her grandmother said was disgusting. ‘You look like a Gypsy or a street Arab,’ she said. This brief allusion to ethnic ghettoisation (the Arabs who own the streets) alludes to geographical changes and demographic shifts whereby, by the end of the 20th century, socially, racially and/or ethnically marginalised groups are more likely to live in Sydney’s outlying suburbs than in its gentrifying inner city. The allusion to street Arabs also sets the scene for the time-travel narrative which presents a somewhat romantic view of an ethnically diverse and working-class community in The Rocks. This time-travel story intersects with a coming-of-age story through which Park explores Abigail’s angst over her parent’s separation and which, typical of the bildungsroman (novel of self-development), is followed by her growth to maturity.
. . . of a delicate pattern with a flower like a buttercup rising out of five heart-shaped leaves . . . With a cry of pleasure, Abigail saw that each flower had been over-embroidered with yellowish green tiny knots which seemed to indicate stamens or hairs. But the coloured thread had so faded that it was almost indiscernible. (p. 15). Escaping domestic arguments with her mother, and wearing a dress into which she has sewn this yoke, Abigail follows an odd-looking child in a Rocks playground who has been watching children play ‘Beatie Bow’, a game based on an old nursery rhyme. This child, who turns out to be called Beatrice Bow, leads Abigail back into Victorian-era Rocks. Like the rhizomatic pattern on Abigail’s yoke, the streets of this old town are described as a ‘queer, shadowy, snaky network’ (p. 32). Opened, or imagined, through the vintage cloth, the older city space is an uncanny world, at once familiar and strange. Abigail is able, for example, to make out Argyle Street and the place where the Bradfield Highway should be, but is confused by the ‘coal gas lamps, houses pressed close to the earth like lichen, shingled roofs covered with moss, and heaps of foul debris around their walls’ (p. 35). Just as Abigail had been captured by the embroidered yoke, Beatrice Bow’s family capture her and attempt to keep her in the past. The Talliskers, recognising the buttercup design on the cloth as a family emblem, believe that she is ‘The Stranger’ who will deliver prophecies. Withholding the yoke from Abigail, who cannot return to the present without it, the Talliskers hold her captive until such time as the prophecies are revealed. Meanwhile, through Abigail’s adventure in the old Rocks, Park opens up an imaginative view of what working-class life might have been like. This ranges from her representation of Victorian beliefs that sickness was airborne, to morbid death, hygiene and eating rituals and to a depiction of ‘crimp houses’ where seamen’s drinks were spiked with opium so that they could be ‘shanghaid’ off to ships that needed crew (p. 86). At the same time as she vividly brings an earlier era back to life, Park is careful to show how the view of the time is mediated through Abigail’s contemporary perspective. For example, Abigail observes the similarity between painted women she meets and Victorian china dolls (p. 58). Abigail realises the role that class privilege plays in what survives over time when she compares ‘drab, ankle length dresses with long sleeves and aprons’ to the elaborate dresses of the ‘high-steppers’ and realises why her mother never ‘got any lower classed clothing at Magpies’ as it ‘had all been worn out by unceasing labour a hundred years before’ (p. 85). It is the embroidered plant on her found yoke, which turns out to be the grass of Parnassus (a common bog plant in Orkney, Scotland), that demonstrates how Park privileges, through the perspective of her young character, a ‘history from below’ (p. 118). Park’s focus on everyday life in a bygone era uncovers a racially, ethnically and socially diverse history that, as she also shows, is always mediated by the forms that survive and that allow access to the past. That a piece of soon-to-be disposed-of cloth is what gives Abigail access speaks to Park’s interest in ephemera, and other undervalued objects, as opening new understandings of history. This theme is also important to the novel as a coming-of-age story in which Abigail begins to understand her mother’s role, ‘the worn glove’ in the parental relationship, only once she has embarked on a romance and realises what it is to inhabit that position herself. Here we stand then, civilly on the doorstep. That Circular Quay is Sydney’s doorstep no one can deny. On the Lady Penrhyn, Ann Smith lay awake. We know nothing about her except that she was thirty, a nurse, and a most resolute woman. She landed in Sydney Cove on February and absconded into the bush before February 12 . She was never heard from again. Only three clues faintly indicate the future life of Ann Smith. Almost two years later a piece of linen, supposed to have been part of her petticoat, was picked up fifty-two miles away in the bush. Eight years later, a fishing boat taking shelter in a harbour near Port Stephens, heard from the tribesman that a white woman was living with the Aborigines further north. And then, strangest of all in 1803, came an authentic report that on a whaler attacked by pirates in Alaskan seas, two people were killed, the helmsman and a woman from Port Jackson, named Ann Smith. But these happenings, if they really concerned Ann Smith of the Lady Penrhyn, were far from January 26, 1788. One imagines the moonpath on the water, a light fuzzing the hospital’s cotton walls as a surgeon’s orderly makes his rounds, a lantern moving on the slope of Bridge Street as young Lieutenant Dawes wanders off among the trees, dazzled by the arrogant brilliance of the southern constellations. The lights that ‘are never to be put out again’ will also make way for Playing Beatie Bow‘s high-rise buildings. Park’s novel might draw our attention to a Sydney of ‘glistening’ steel and glass. Through Abigail, it also reveals the queer existence of a ‘shadowy, snaky network’ that continues on nevertheless. Bennett, Tony. “History on the Rocks.” Australian Cultural Studies: A Reader. Edited by John Frow and Meaghan Morris. Sydney: Allen & Unwin, 1993. 222–40. Park, Ruth. The Companion Guide to Sydney. Sydney and London: Collins, 1973. —. Playing Beatie Bow. Sydney: Angus & Robertson, 1980. MONIQUE ROONEY teaches literature and film in the English, Film and Drama Program at the Australian National University. Currently completing a book on contemporary film and television, she has also published widely in the broad areas of Australian literature and film.